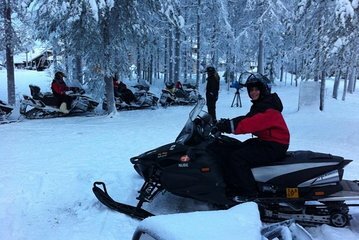 Experienced riders (quad bike, jet ski, motorbike, or snowmobile) can enjoy this express off-road safari from Ruka. Leave the well-traveled trails to explore the snowy wilderness in the company of a guide, from whom you can learn advanced tips and pointers. Use of thermal clothing and all snowmobile equipment provided.